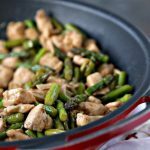 This quick and easy recipe for Chicken and Asparagus Stir-Fry with Lemon is a flavour explosion. Simple ingredients cooked in one pan. No muss, no fuss. This is a sponsored post written by me on behalf of Loblaws Companies Inc.. All opinions are 100% mine. More about Loblaws Pharmacy within the post. 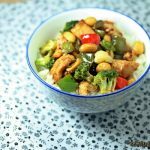 Today I have an absolutely delicious stir-fry recipe for you. It’s incredibly easy to make and always a hit with my family and friends. We make this constantly. Sometimes we use asparagus only. Other times we toss in broccoli and cauliflower. On some occasions we toss in a ton of veggies and just go crazy. It’s always scrumptious. Every so often we use beef instead of chicken. My daughter prefers beef while we prefer chicken. So we like to mix it up regularly so everyone is happy at dinner time. What I love about this one is it’s fairly healthy. Not only is it healthy but it’s super quick and easy to make. This is perfect for those days when you’re insanely busy. My life has been hectic lately. I’ve sick on and off since the new year started. Plus my work life has been incredibly hectic. I’ve learned I really need to take better care of myself. Let’s be honest, most Moms put themselves last and that’s really a shame. We need to be in peak performance mode yet we never have enough time to care for ourselves. I was sick for about 6 weeks straight with the flu in January and February. I referred to it as the plague. I was tired, sore, and just generally felt horrible. I was a hot mess. That prompted me to finally take control of my health so I had a chat with the pharmacist at Loblaws. I also had a chat with one of the Loblaws Dietitians to get some diet advice. Loblaws has pharmacies and dietitians at select stores in British Columbia, Ontario, and Quebec. They are there to help and guide you with your health and diet journey. You can ask a Loblaws pharmacist a variety of questions, like: How do I renew my prescription or Can a diet help me manage my diabetes or What do my blood pressure numbers mean. They are hosting a Loblaws Facebook Live event on March 22 at 8 pm. Make sure you tune in to ask the pharmacist any questions you might have. They are there to help. We’ve been trying to eat a bit healthier and work out more consistently. I’m always so busy but I’ve learned that I just have to take time out of my day to take care of myself. 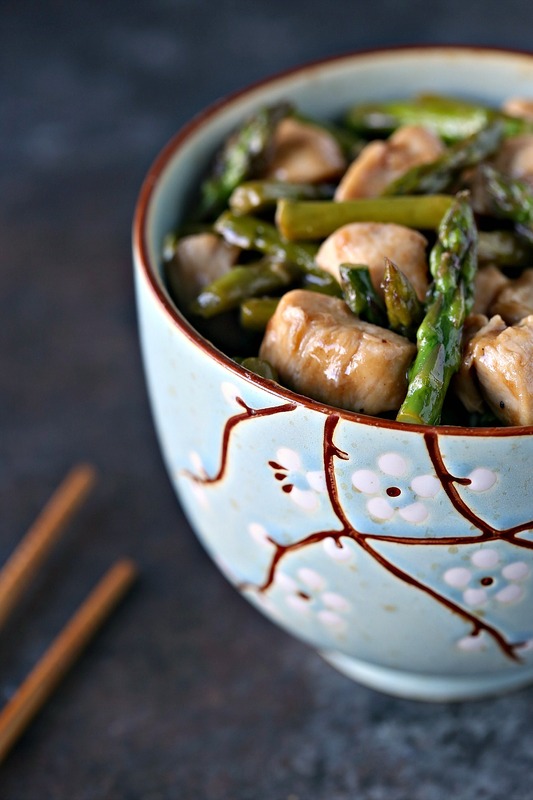 Honestly, we’re huge stir-fry fanatics in our household. We eat them at least once a week, usually more. There are so many different ways to make a great stir-fry. What I love about stir-fry is it reheats beautifully. I always make more than I need so we have enough for lunch the following day. It’s makes a perfect healthy lunch. On weekends I make giant batches of it so I can freeze a bunch of individual containers of it for lunches for the next couple of weeks. Stir-fry freezes really well. I hope you get a chance to make this amazing recipe. The final splash of lemon juice just takes it to a whole other level. You will flip your lid when you taste this one. If making rice to serve with it, prepare that ahead of time. I made Basmati rice to serve with mine. In a wok or large skillet, heat olive oil until it glistens. Add asparagus and cook for about 3 to 5 minutes, depending on thickness. I cooked mine for about 5 minutes because I like it quite soft. Add garlic, salt, and pepper, cook for 1 minute more. Do not overcook garlic, it burns very easily. You want it to become fragrant without burning. Transfer asparagus and garlic mixture to a bowl and set aside. Add 2 tablespoons of Grapeseed oil to wok or large skillet and heat over medium-high heat until oil glistens. Toss in the chicken. Cook until chicken is browned and juices run clear. 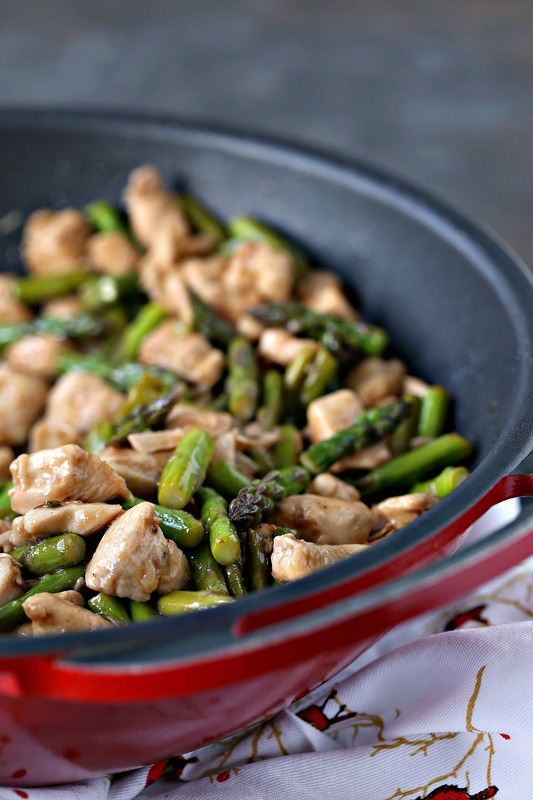 The wok or large skillet is fairly hot so the chicken should cook in 3 to 5 minutes. Stir as it cooks so all sides of the chicken are browned perfectly. Transfer the chicken to a bowl. 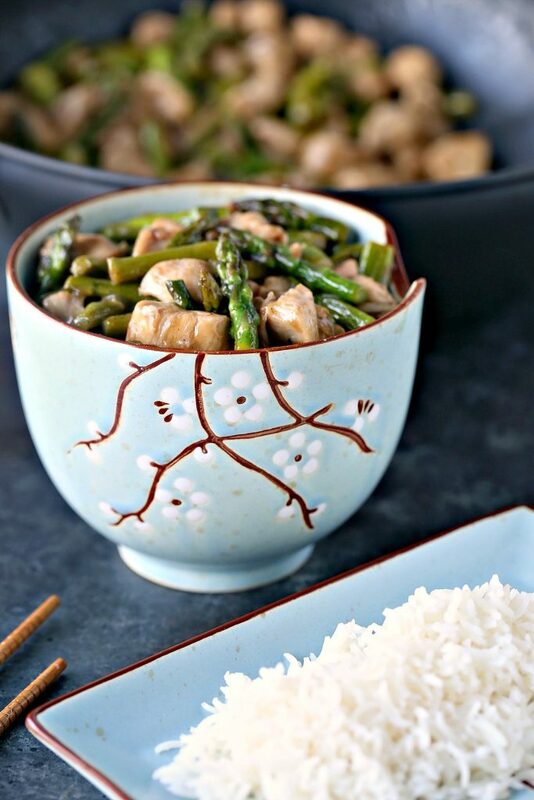 I added mine to the bowl with the asparagus. Less dishes to wash later. 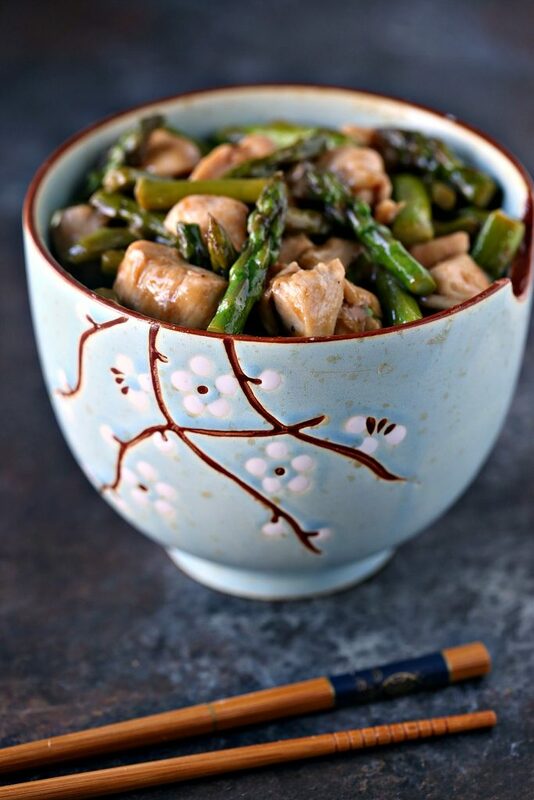 Place wok or large skillet back on the stovetop and add 1/2 cup Tamari sauce and 1/4 cup chicken (or veggie) broth. Cook over medium heat until it boils. While you are waiting for sauce to boil, make a Cornstarch Slurry. Grab a small jar, add 1 & 1/2 teaspoons corn starch and 1/4 cup COLD water. Pop a lid on the jar and shake until it's mixed well. This is your corn starch slurry. Using this will thicken your sauce without the cornstarch turning into globs<- super technical cooking term! By now the Tamari sauce and chicken broth should be boiling, turn down the heat to low and add the cornstarch slurry. Stir gently until the sauce thickens. Add the chicken and asparagus back to the pan and stir until chicken and asparagus are evenly coated with sauce. Take off heat, add lemon juice (to taste) and lemon zest (if desired). Stir until well combined. You can serve this over rice, noodles, or on its own. Do your own thing. 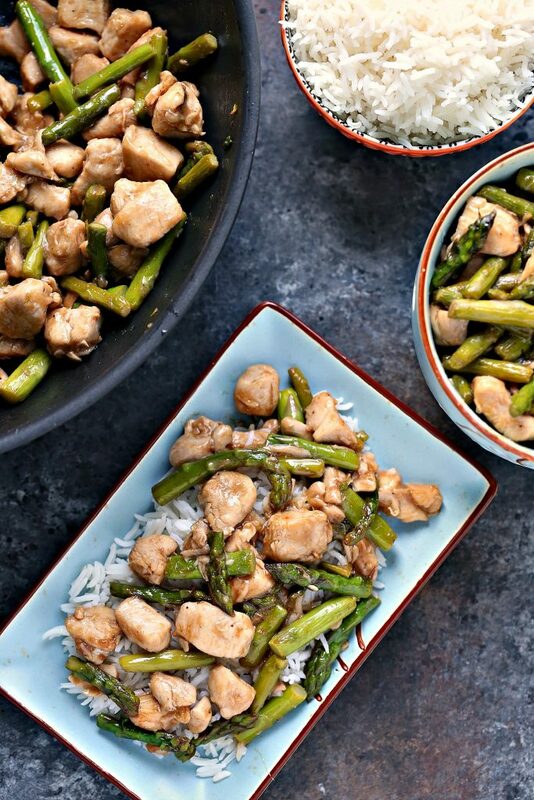 Serve with a big old stir-fry loving smile. PIN THIS RECIPE TO YOUR FAVOURITE DINNER BOARD! Thanks for reading. 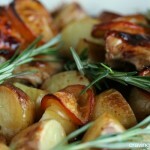 Be sure to check out my recipe index for more healthy recipes. You can also find more chicken recipes. While you’re here be sure to follow me on Pinterest. 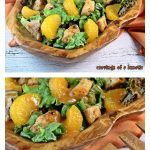 I’m always pinning great recipes, and fun DIY projects, among other things. Also, take a minute to follow me on Instagram. 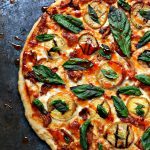 All my new recipes get posted there when they come out so it’s a great way to keep current with my recipes. 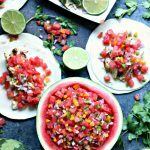 I am always looking for easy, healthy dinners and you’re KILLING it with this one! Love that youy used asparagus as well – my fav veggie! Thanks so much Taylor. K is obsessed with stir-fry so we’re always mixing it up. This is also really good with broccoli added. And cauliflower. I’m so happy for asparagus season!! I know, it’s like Christmas for food bloggers. I love when they first come out and the stalks are thin. Such a heavenly flavour. Perfect spring meal, right here! I love the Asian flavors going on and the fact that it comes together so fast! Thanks so much Faith. My daughter is totally obsessed with stir-fry so we eat it constantly. I must have 75 versions so far. She likes the same thing over and over but Mom likes variety. Ha! This looks like such a yummy dish!! Kim this recipe is making me hungry, Yumm! Pinning to my Dinner Recipes Board. Thank you for sharing! P.S – Visiting from Lou Lou Girls. This was an incredible recipe and so easy to make. I love anything stir fried so this was a godsend. Thanks for sharing. Thanks so much Scott. I’m so glad you liked it. Hearing that never gets old. I’m a sucker for easy recipes. I love food but I’m a bit of a lazy cook. Ha. 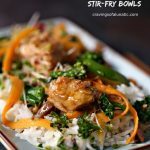 My husband and I love stir fry so I may have to try this recipe 🙂 I’d be pleased if you could visit my blog and perhaps share some of your DIY’s in my new linky party, Support Your Fellow Crafter on Monday’s? Thank you so much! Thanks so much Ginger. I hope you love it. This looks so tasty. 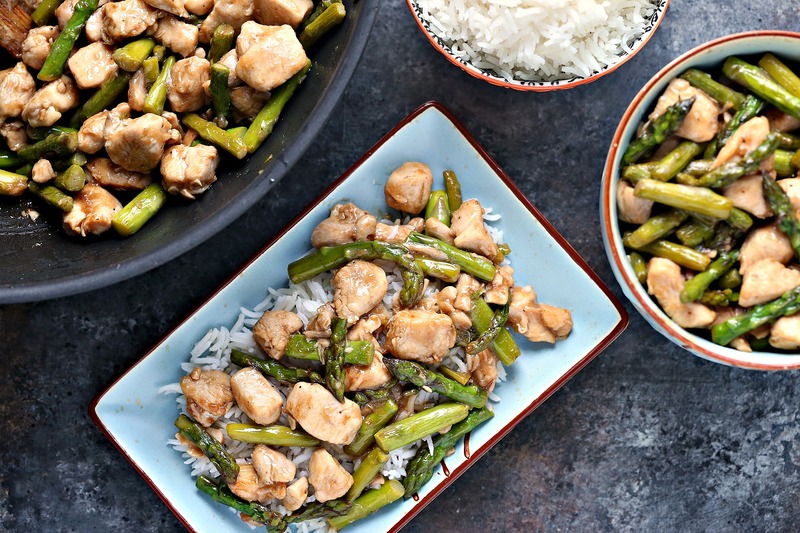 I’m always trying to come up with ways to get the hubs and kiddo to eat asparagus… this looks like a dish they’d go for! Thanks so much, Donella. We’re big stir-fry lovers. My daughter could eat them every single day. This is also really good with broccoli, asparagus, and sugar peas.